In the neighborhood of Copenhagen known as Freetown Christiania people live by their own rules independent of the government, but now authorities are pushing for them to pay their dues. 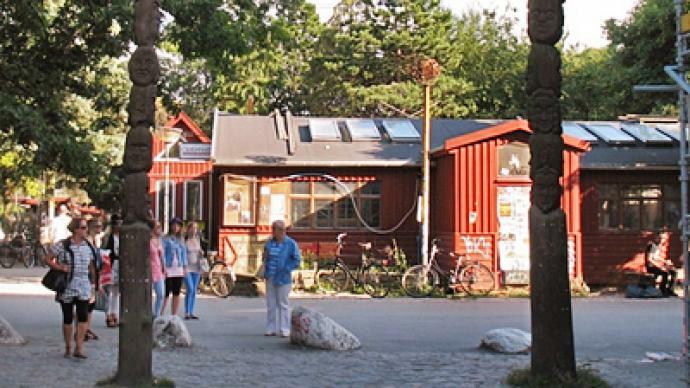 ­In Christiania, a self-proclaimed autonomous country, things get done by the people for the people. It began in 1971, when hippies and free-thinkers squatted in former military barracks. Their aim was to build a society from scratch where the only government would be the residents themselves. Today it is a co-op community with no home ownership and no violence, forged by 1,500 locals. “If you have this ability to administer yourself, then you also bear responsibility for your surroundings, and that's something that's lost in the large cities today,” says Nils Vest, a filmmaker who has lived in Christiania since it was founded. For Nils, this is the most peaceful and welcoming place you can find in Denmark, and possibly, in all of Europe. “We want to keep up some of the virtues of the village where people know each other and feel dependant and feel responsibility for each other,” explains Vest. 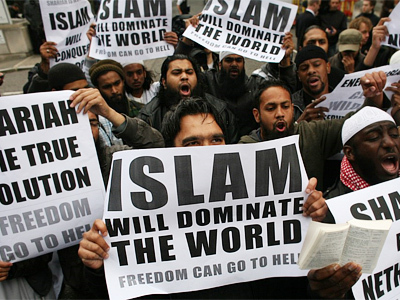 The secret to a peaceful coexistence is that people actually take responsibility for the area themselves. “They don't expect a guy from the government of the city to come and fix things. We do it ourselves,” says another Christiania resident Thomas Ertmann. In fact, Christiania seems to be extremely attractive to most Danes: a recent newspaper poll found 150,000 Copenhagen residents would love to up sticks and settle down in the ‘Euro-utopia’. “It's a fairytale atmosphere here – we have a saying, you shouldn't know what's around the next corner, there should be some kind of a surprise,” says Vest. Unfortunately, the biggest surprise right now comes from the city authorities who want to swing the ax at Christiania. “The land is owned by the state and the state can do anything about it if they want more housing to be built there,” claims Jesper Christensen from Copenhagen City Council. That is the crux of the problem – residents pay their taxes to the state, and a service fee to Christiania, but they do not own the houses they live in. Residents are not allowed to make any money off their houses in the neighborhood, confirms Thomas Ertmann. “The houses are owned by Christiania and you live there and rent it from Christiania and you can't sell it on, because we don't want speculation and interest and money in this place,” he told RT. However, that is something Copenhagen City Council wants to change by forcing residents either to buy out or move out. “Even if we have to leave this house, which took us a lot of years to build, I'm ready to give it up if it has to be a fight against the privatization ideas. 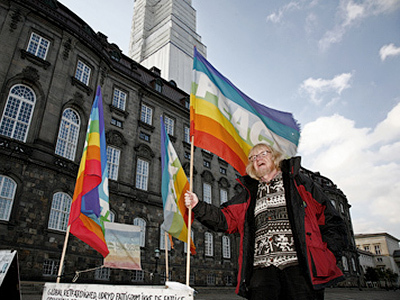 I don't want Christiania to be privatized,” says Nils Vest. For now, the courts are deciding. And although peaceful coexistence and tolerance are two of the community's cornerstones, its residents refuse to bow to Big Brother without a proper fight.